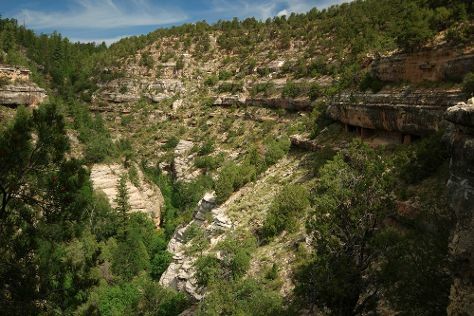 On the 4th (Thu), hike the day away at Bright Angel Trail. There's lots more to do: explore the stunning scenery at Grand Canyon South Rim, get great views at Hopi Point, take a memorable drive along East Rim Drive, and hike along North Kaibab Trail. To find traveler tips, reviews, other places to visit, and more tourist information, read Grand Canyon National Park online travel route planner . Chicago to Grand Canyon National Park is an approximately 10.5-hour combination of flight and bus. You can also do a combination of flight, shuttle, and bus; or drive. The time zone changes from Central Standard Time to Mountain Standard Time, which is usually a -1 hour difference. Traveling from Chicago in July, Grand Canyon National Park is a bit cooler at night with lows of 52°F. Wrap up your sightseeing on the 9th (Tue) to allow time to drive to Flagstaff. To find where to stay, traveler tips, ratings, and tourist information, use the Flagstaff trip itinerary planner. Drive from Grand Canyon National Park to Flagstaff in 1.5 hours. Expect a daytime high around 81°F in July, and nighttime lows around 52°F. On the 10th (Wed), wrap the sightseeing up by early afternoon so you can travel back home.